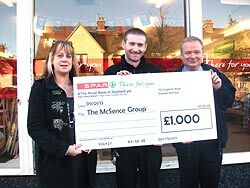 MCSENSE BAGS A CHEQUE FROM SPAR SCOTLAND! 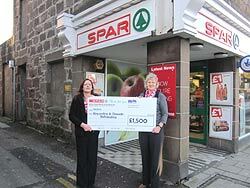 MACMILLAN BAGS A CHEQUE FROM SPAR SCOTLAND! 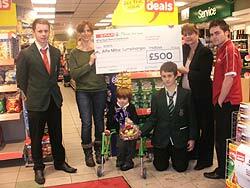 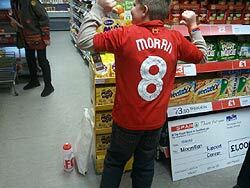 LOCAL LAD ALFIE MILNE BAGS A CHEQUE FROM SPAR SCOTLAND FOR HIS CHARITY! 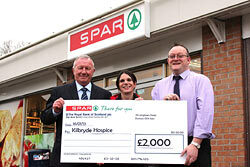 KINCARDINE & DEESIDE BEFRIENDING BAGS A CHEQUE FROM SPAR SCOTLAND! 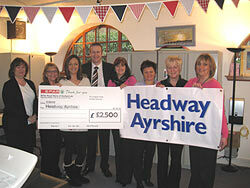 HEADWAY AYRSHIRE BAGS A CHEQUE FROM SPAR SCOTLAND! 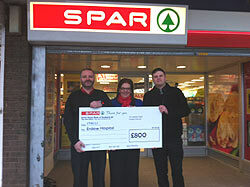 ERSKINE HOSPITAL BAGS A CHEQUE FROM SPAR SCOTLAND! 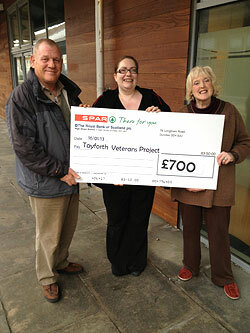 THE TAYFORTH VETERANS PROJECT BAGS A CHEQUE FROM SPAR SCOTLAND! 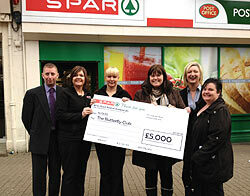 THE BUTTERFLY CLUB BAGS A CHEQUE FROM SPAR SCOTLAND! 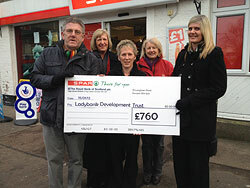 THE LADYBANK DEVELOPMENT TRUST BAG A CHEQUE FROM SPAR SCOTLAND!